Last week was another decent one for predictions, so hopefully a breakthrough week is on the verge. While week eight was arguably the most exciting weekend of games we’ve had this season, there are still a lot of questions that need to be answered in the second half of the season. For me, the main one is simply how many of these teams are actually good? Yes, we know the Patriots are for real at this point but beyond that it gets bleak. There is no clear cut team in the NFC. The Vikings appeared to be a favorite, but their offensive line is decimated, the defensive struggles the Falcons have had could come back to bite them, etc. At the least, trying to figure all of this out makes for a very interesting second half of the season. 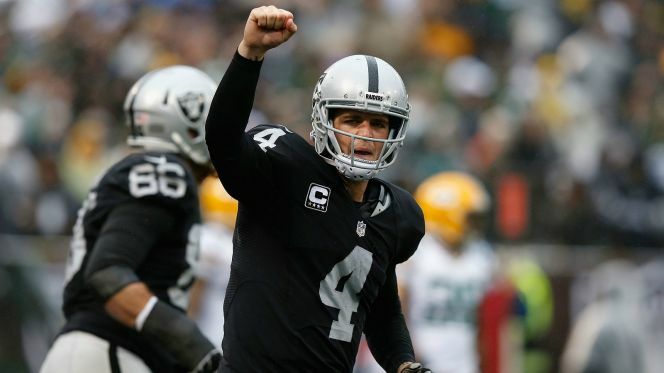 Game of the week: Broncos vs Raiders: Now this is what I’m talking about. A top notch defense against an exciting, young offense that’s finally getting to show what they can do for a national audience. While I’ve enjoyed watching the Raiders this year, they’re another team despite sitting at 6-2 we are unsure how good they actually are. The five road wins is extremely impressive, but we’ve yet to see them beat a team that figures to be in contention come January. This entry was posted in NFL, Picks against the spread, week 9 predictions and tagged 2016 NFL Predictions, 2016 week nine predictions, Baltimore Ravens, Buffalo Bills, Carolina Panthers, Cleveland Browns, Dallas Cowboys, Denver Broncos, Detroit Lions, Green Bay Packers, Indianapolis Colts, Jacksonville Jaguars, Kansas City Chiefs, Los Angeles Rams, Miami Dolphins, Minnesota Vikings, New Orleans Saints, New York Giants, New York Jets, NFL, Oakland Raiders, Philadelphia Eagles, Picks against the spread, Pittsburgh Steelers, San Diego Chargers, San Francisco 49ers, Seattle Seahawks, Tennessee Titans. Bookmark the permalink.